Electrical energy is a flexible, adaptable form of energy, but it is difficult to store, and consumption by customers and coincidental demand are constantly varying. 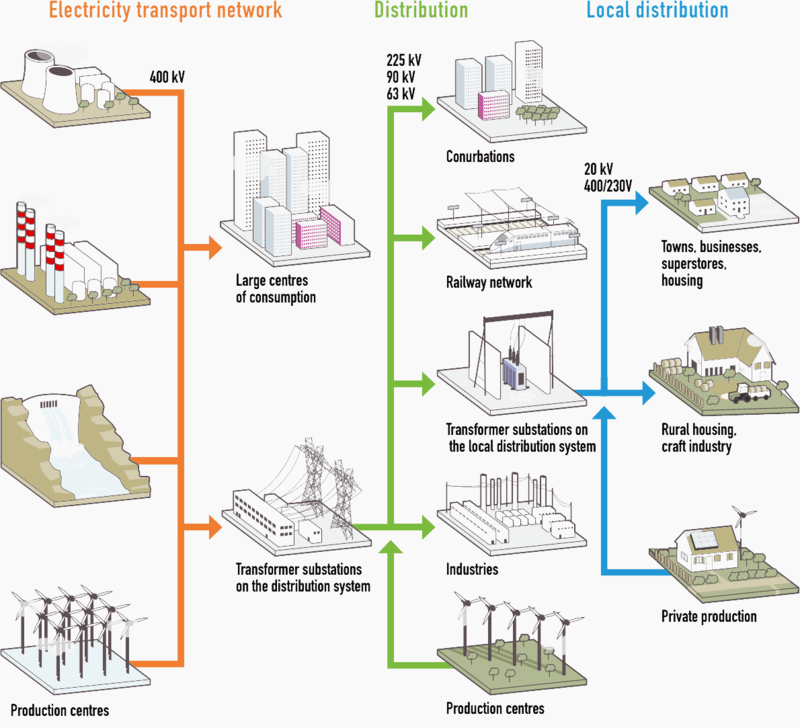 Although the term “network” is often used in the singular to describe the whole infrastructure required to carry energy from the production centres to users, it would be more accurate to use the plural to cover all the different systems which make up each level of the overall system. The system is regulated by means of requirements placed on producers, in particular the requirement to keep the current frequency at 50 Hz (or 60 Hz). Too much power results in an unwanted increase in frequency, while insufficient power causes a drop in frequency. Automated systems disconnect producers that do not comply with the standards, but for the regulators of the system this automation results in random events that are not controlled and may cause damage. In many countries throughout the world the system is not interconnected, either because it is not sufficiently advanced, or because the country is too large. The creation of a network of systems in Europe contributes considerably to the reliability and availability of those systems by enabling exchanges of energy. New energy sources such as wind or solar power involve new problems, due to their considerable variability and above all the difficulty of accurately forecasting their production several hours in advance. The question therefore arises of the balance between potential consumption and the available power of the new sources. 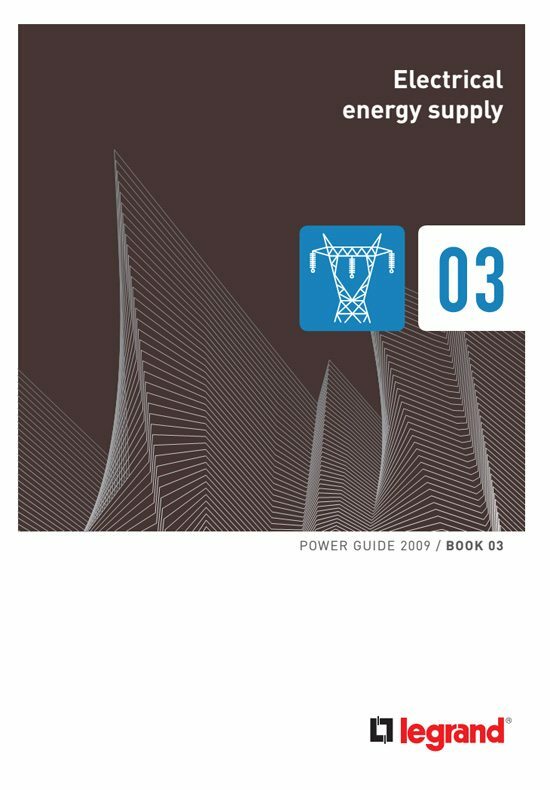 Voltages of 225 and 400 kV, in the VHV (Very High Voltage) range, have historically been used in France, but other voltages (see table 5 in standard IEC 60038) are used throughout the world. These very high voltages limit energy loss over long distances. 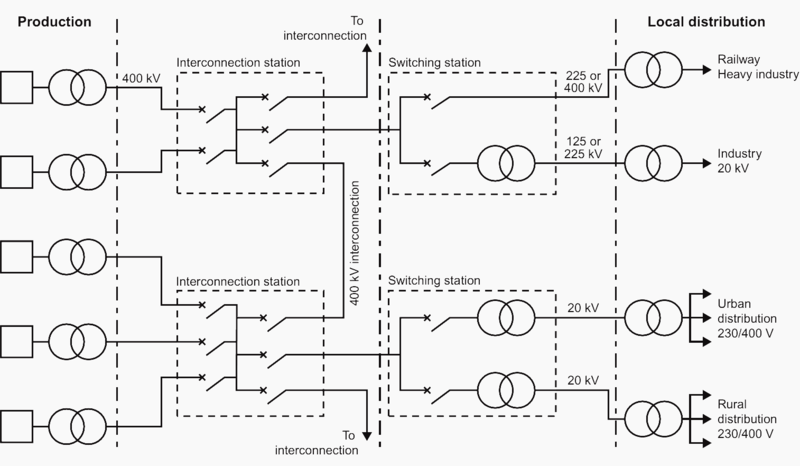 Production centres are connected to one another via interconnection stations which are used for distribution across the whole area and also, if required, for exchanging energy with bordering countries, as in Western Europe, by the use of a single voltage of 400 kV. Thanks for the super document. It is good to read and can be understood by all irrespecive of their domain. Hello. Data for Voltage tolerance for Slovenia is unfortunatelly not correct. Iz should be +/- 10%.